Homemade Liege waffles are perfect in the morning with a cup of joe or as an after work pick-me-up. Make them a part of your week day routine by mixing and freezing a batch of Liege waffle dough. Making Liege waffles is easy as pie but there’s one catch—from scratch to dough, proper yeasted Liege waffles take time. A bulk of that time requires waiting for the dough to rise so we suggest making time during the weekend or a quiet evening. Once the dough is made, it can be frozen and baked at your convenience. Use a high-quality yeast. (We highly recommend Lesaffre.) You can also add extra yeast, up to double the amount a recipe requires. Adding extra yeast compensates for lowered activity following freezing. Freeze dough in small balls or thin layers. This helps the dough come to temperature with less wait time. Freeze dough in an airtight container to prevent moisture loss. The waffle dough can be thawed in one of two ways. Slow method: Place frozen dough in the refrigerator overnight for gentle thawing. Quick method: Thaw waffle dough by placing the dough on a clean baking sheet in either an unused oven or countertop where it won’t be disturbed until baking time. Keep dough covered while thawing, either in a lidded container or in a container covered with plastic wrap or a dishtowel. Allow the dough to rise both before and after freezing. After the first rise, gently punch the dough down before freezing. Bake waffle dough only after it has thawed thoroughly. After thawing, add Belgian pearl sugar to the dough. Portion into palm-sized pieces and allow 10-15 minutes for the dough to rest. Adding the sugar pearls after the dough has thawed will keep the sugar fresh, intact and ready to caramelize in your batch of flawless Liege waffles. Unthaw and bake the frozen dough within a month of preparation to ensure freshness. Have tips or questions? Leave a comment below! Here is written to add Belgian pearl sugar to the dough right before baking. As i know it’s better to add pearl sugar to the dough before you will divide it and than shape each chunk into an oval ball. If you are going to make big batches and than froze dough balls or refrigerate some for 2 days, in both way you should froze/refrigerate a dough without a pearl sugar or you are able to do it with already added pearl sugar? Hello Nino! Yes, we agree and recommend adding pearl sugar to the dough before portioning it off into smaller pieces. If you plan to make a large batch and have refrigerated or froze the dough, we recommend adding the pearl sugar to the dough after it has thawed and softened. You can then divide the dough into smaller pieces and allow the balls to rest 10-15 minutes before baking. This will keep your sugar pearls fresh right until baking time. We’ve updated our blog post to reflect this information. Thank you for your questions and comments! I have been following your blog and used your products. I have one thing though that I cant seem to get right. when I make the waffle dough and bake them straight away they are just fine – they are great even (ive experimented a lot). however when I freeze the dough and unfreeze them, the dough seems to have become more sticky and puffy and after baking they just fall apart completely. it seems that by freezing them they come totally incoherent and they loose most of their characteristics, apart from falling apart the inside is rather dry and the outside does not get near crispy anymore. Should I add something to the dough so that it can be frozen without losing its characteristics when unfrozen again? Thanks for following our blog and using our products. Here are additional tips that may help maintain the integrity of the dough after freezing. 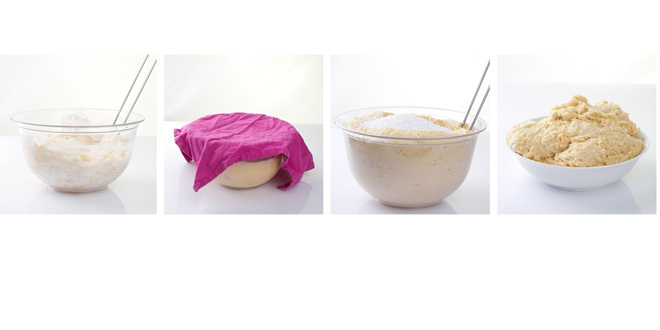 – Freeze dough in an airtight container to prevent moisture loss. – Use a high-quality yeast. (We highly recommend Lesaffre.) You can also add extra yeast (up to double the amount a recipe requires) if you plan on freezing the dough. Adding extra yeast compensates for lowered activity following freezing. – Allow the dough to rise both before and after freezing. After the first rise, punch the dough down before freezing. – Place frozen dough in the refrigerator overnight for gentle thawing. – Unthaw and bake the frozen dough within a month of preparation to ensure freshness. You may want to experiment with these tips to see what works best. We’ve updated our post and hope you find these tips helpful. Do keep us posted if you have success so we may share with our readers! 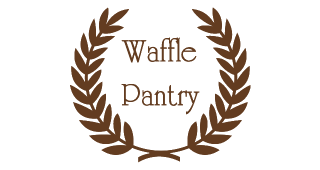 Our classic Liege waffle recipe bakes up nicely if you double or triple the recipe depending on how many additional waffles you need. Just be sure to adjust every ingredient accordingly. Can you provide additional details as to what you mean by stiffening the dough? I’d be happy to help. I made these and it was the first recipies i used! it tasted amazing and i had 3 of them myself right after. This portion came in with 15 palm sized balls. I have leftover balls which alredy have sugar rolled up with it. Can i store them back in the refridgerator? if so how do i go beyond that ? do i need to punch small holes in each one or just airtight container and use within a certain time frame? You can freeze or refrigerate the dough. Place them in an air tight container in your fridge/freezer and be sure to bake the dough within the next month for the best results. How long would it last in the fridge compare to freezer? And how many times can I repeat the process of thawing it n putting it back in the fridge and thawing again with the same batch? For optimal taste, we recommend storing the dough in the freezer for up to one month. Once the dough has thawed, we recommend baking the dough. Refreezing is not optimal once the dough has been fully thawed. Once baked, you can always freeze the Liege waffles for up to three months. We recommend labelling dough and waffles with the date they were made to stay organized. Do let us know if you have additional questions! Hi Lisa, iv been making this recipe, tripling the measurements.They turn out great by the way. Everyone loves them. I would like to know if you have ever made a bigger batch say by 6 times. I’m trying to figure out if i would need to adjust the recipe for making such a big batch. Hello Al! I’m glad to hear your waffles have turned out well. You do not need to adjust the recipe to make a bigger batch. Simply multiply all ingredients by the desired factor (in you case by by six). Happy Baking! Do you recommend using salted butter or unsalted butter in your recipe? Great question. We recommend using unsalted butter in our recipe. Thanks for stopping by and do let us know if you have any other questions! what happens with peral sugar mixed in to dough and stored overnight with it? as in texture and taste wise , what diffence would it cause instead of adding it right before its thawd? When making Liege waffle dough in advance, we recommend incorporating the Belgian pearl sugar just before baking for the best results. Freezing and refrigerating pearl sugar in dough may shock the sugar and impact the way it caramelizes when you bake it. However, if you’ve added pearl sugar to dough before refrigerating or freezing, you can still have delicious results as long as you thoroughly thaw the dough before baking. Do let us know if you have any additional questions! Happy baking! Hello friend i just want to know if i want to double the batch just i need to multiply all ingredients by 2 or i need to make a formula (ratio) to compensate the mix? Hi. I just baked half a recipe of your Liege waffle recipe. They tasted heavenly. However, my dough is not like what you shown. I mixed the dough in my mixer with the dough hook for a few minutes, then added the softened butter in 3 batches and proofed the dough for almost 4 hours before I added the pearl sugar. The dough turned out to be super oily as the oil leaked from the dough. What have I done wrong? Thanks for your help. 1. The dough is naturally quite sticky but perhaps there was a bit too much butter. It’s important to be precise when lowering the ratio of butter relative to the flour so we suggest writing down and measuring ingredients as accurately as possible before beginning the baking process. If you find that there is still too much butter when you halve the ingredients, try decreasing the amount of butter until you feel the recipe looks and tastes right. Our recipe is a great starting point for you to change according to your taste and preference! 2. You may be over-proofing the dough. We recommend checking on the volume of the dough after 2 hours and every 30 minutes thereafter. This is important depending on whether you live in a warm, humid climate as well as how warm your kitchen is. You can also proof the dough at room temperature for an hour or two and allow the rest of the proofing to happen in the refrigerator to slow it down just a touch. 3. We also recommend the dough be refrigerated once proofing is complete, especially if the dough won’t be baked immediately. We hope this helps but do let us know if you need any additional help with the recipe. Happy baking! Thank you very much for your advice. I just tried again yesterday with the full recipe. This time, it was alright as I did not overdo the mixing, I mixed until the ingredients were just combined. Also, I proofed it for only a little over 2 hours. The waffles were great! May I know if you sell your Belgian pearl sugar on any other websites that can ship to Singapore? How long will the dough last in the refrigerator once made if I don’t want to freeze it? For optimal freshness and taste, we recommend baking the dough sooner than later if you do not intend to freeze the dough. Liege waffle dough lasts approximately 2 days in the refrigerator but it’s best to bake it within 24 hours. This is because the yeast is a living organism and the dough’s shelf life is limited before one will notice a difference in quality and taste. Do remember to allow the dough to come to room temperature before baking and wait until you’re ready to bake to mix the pearl sugar into the dough for the best results. Thank you for your question and happy baking! I would like to make the waffles in advance and then freeze the cooked waffle. Is this possible and what is the best way to unthaw/warm up the waffle before serving? Great question. Yes, you can freeze the waffles. To reheat frozen Liege waffles, we recommend allowing them to thaw and then heating them up in a toaster. Happy baking! Thanks for your suggestion. We’ve updated the recipe so you can now use your scale. 🙂 Here’s the updated Liege waffle recipe. Please do let us know if you have any other questions. Happy baking! I am making these for my grown up kids on Christmas morning. How far in the recipe do I go before I put the dough in the refrigerator the night before? We recommend following the recipe, allowing the dough to rise and freezing/refrigerating before adding pearl sugar. Essentially, you want to add the pearl sugar just before you’re ready to bake. Thanks for your question. Happy baking! Hi can you clear something up for me. Im a little confused. I notice in the last comment you recommend refrigerating the dough after the first rise. Do you need to do this refrigeration step if you are planning on making the waffles immediately. This step isn’t in the recipe. You do not need to refrigerate the dough. The refrigeration is not a part of the recipe and you are good to bake the dough immediately after proofing the dough. Our comment was only in response to your previous question in which you referenced refrigerating the dough. I hope this clarifies the confusion. Hi Lisa, I went through the comments and very interesting topics and responses. I would like to know if the proofing process is possible doing overnight in the fridge? In the other hand, to defrost the dough, can we accelerate the process inside an oven with steam, if so, at what temperature and time will be recommended to thaw the dough? Before baking, what is the time to wait to pass the dough from refrigerator to room temperature? I’m glad our posts and comments are helpful. As far as the proofing process is concerned, you’d ideally want to proof dough at a temperature between 75°F and 80°F. Cooler temperatures such as in the fridge will slow down the fermentation process, a technique also known as the retarding of dough. If you decide to proof your dough in the fridge, be sure the dough rises to about twice its original volume before baking. Warmer temperatures will help speed up the process of bringing the dough back to room temperature so you may want to try placing dough in an airtight container and submerging it into a bowl of warm water to help bring cold dough back to a more moderate temperature. I would be careful with steaming the dough in the oven, as this will likely alter how your waffles come out. There’s no specific time you have to wait from taking dough out of the fridge to baking– the general rule of thumb is to test touch the dough and ensure it’s no longer cold (usually 20 minutes). I hope this helps, please let us know if you have additional questions.